Guy's Lawn Care has been entrusted by hundreds of people throughout the metroplex to brighten and maintain the lawns of their home. Each lawn is treated per their individual needs as no two (2) hands are the same. 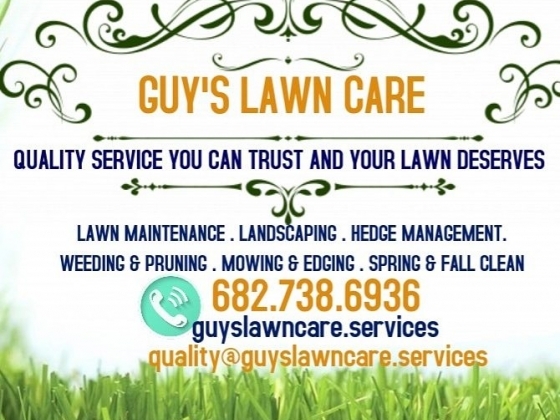 With beautiful, loyalty, and attentiveness, Guy's Lawn Care strives to provide the best quality care for your horticultural needs.